First step would be to install and configure this great plugin: Theme My Login. For more info on how to work with this plugin visit the support website. Basically this will redirect the subscribers to a custom page and the rest of user roles such administrators to the regular WordPress dashboard. 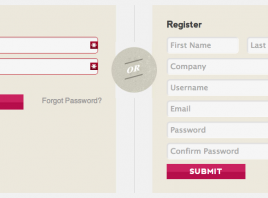 Showing a welcome message and a log-out button for logged-in users is always a good practice. WordPress is a powerful and flexible tool that can accomplish many complex requirements such as user registration in a fast directly from the front-end. If you have any comments please post below. Hi, thanks for your article but it might be better to note which version of the Theme My Login plugin you chose. If you were to upgrade your plugin to the latest version, your solution would not work. Hello there, is there any way to include avatar support in this plugin?